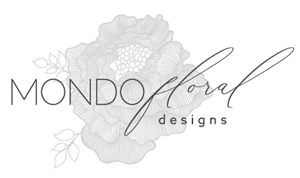 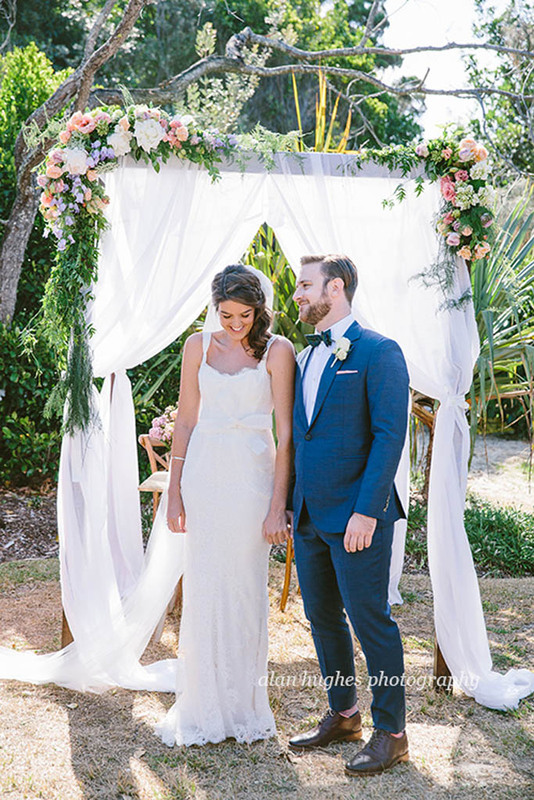 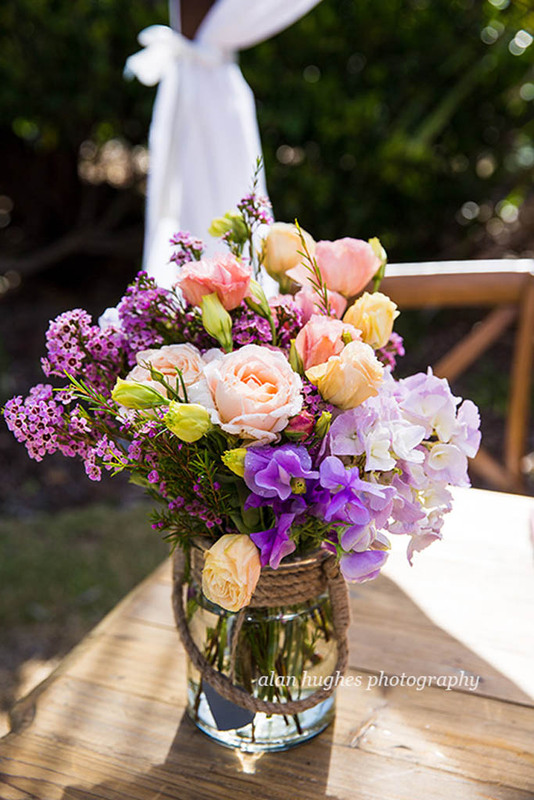 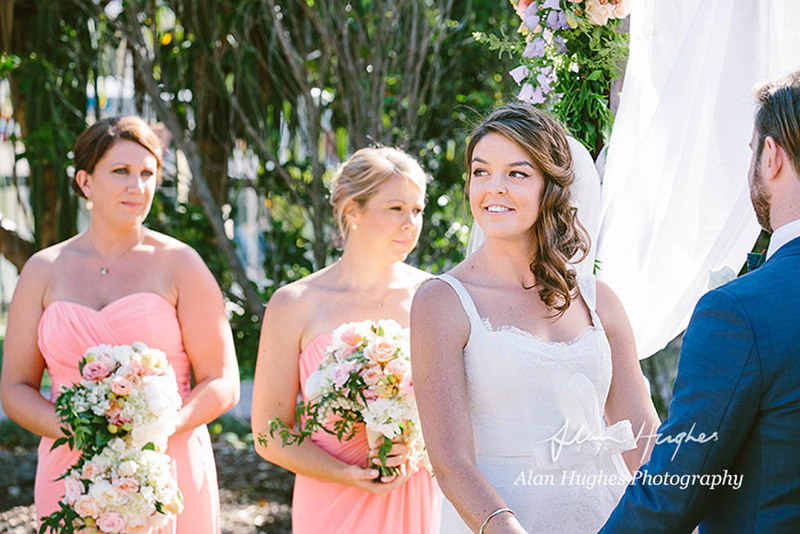 This beautiful Noosa beach wedding was a pretty petalled affair with summer blooms, and super sweet smelling wedding flowers featured within the floral concept. 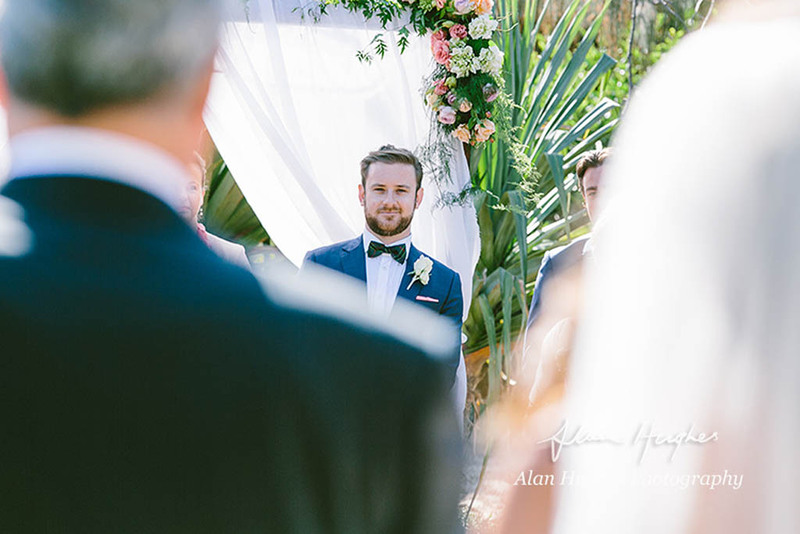 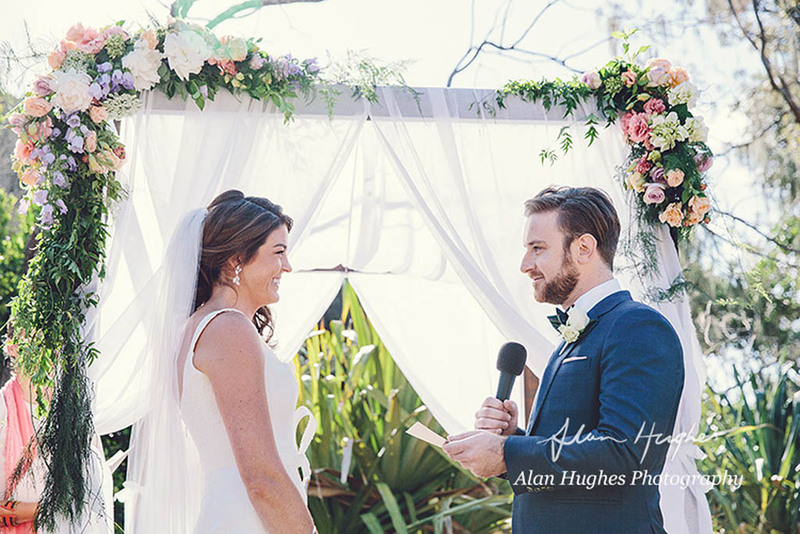 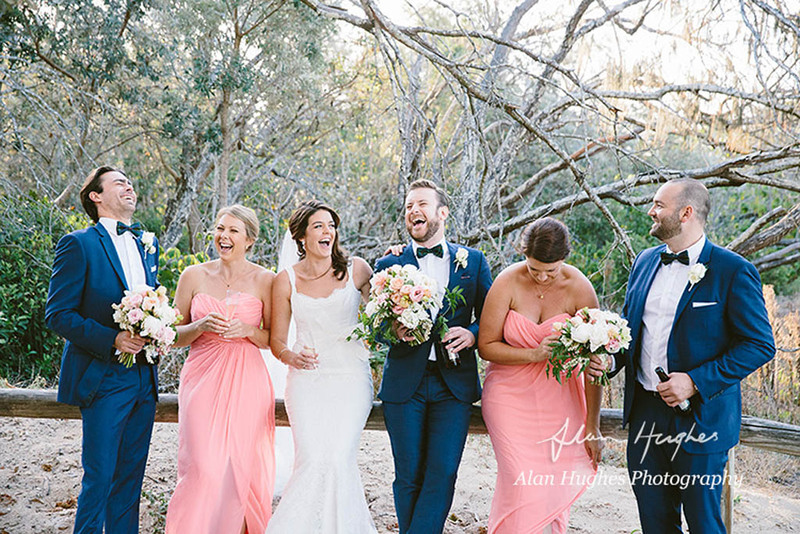 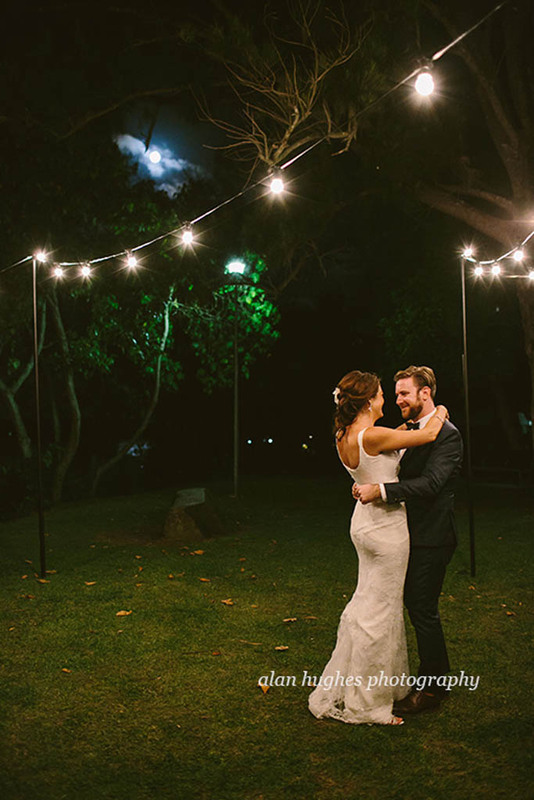 This perfect Noosa wedding day was accented by a relaxed and elegant beachside setting for the beautiful wedding of Nicky and AJ. 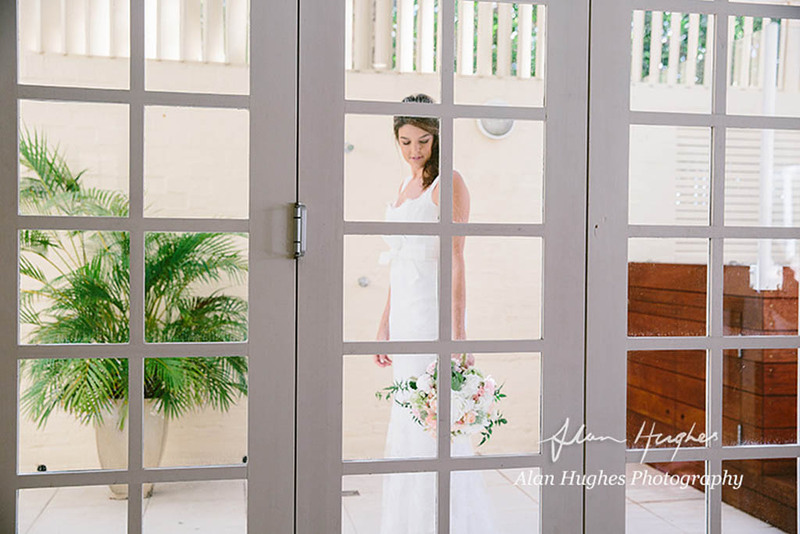 Often I don’t get to meet the couples who engage us to be a part of their day, many of our clients live interstate and often overseas so meeting face to face is sometimes impossible, and in this instance the bride and groom spent much of their pre-wedding time in New York, so via email and in collaboration with CL Weddings and Events who provided the décor and styling elements for the event, we created a concept that featured a whimsical summery floral feel and included some of our favourite blooms. 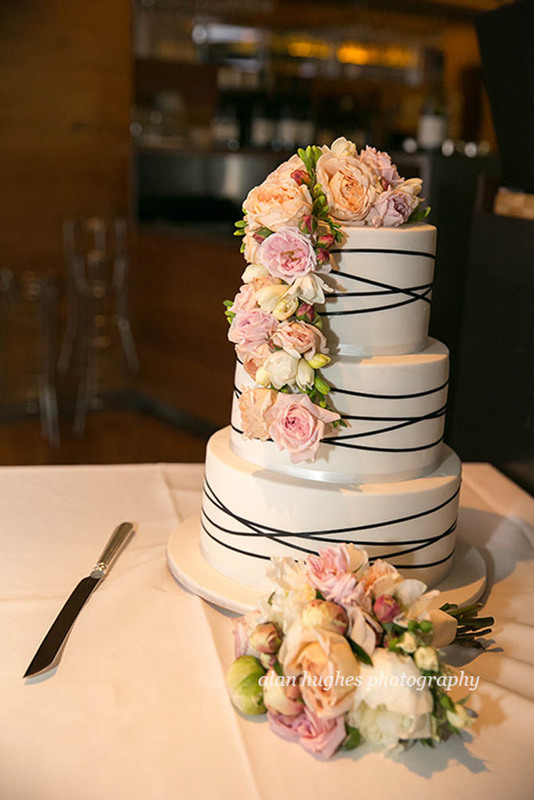 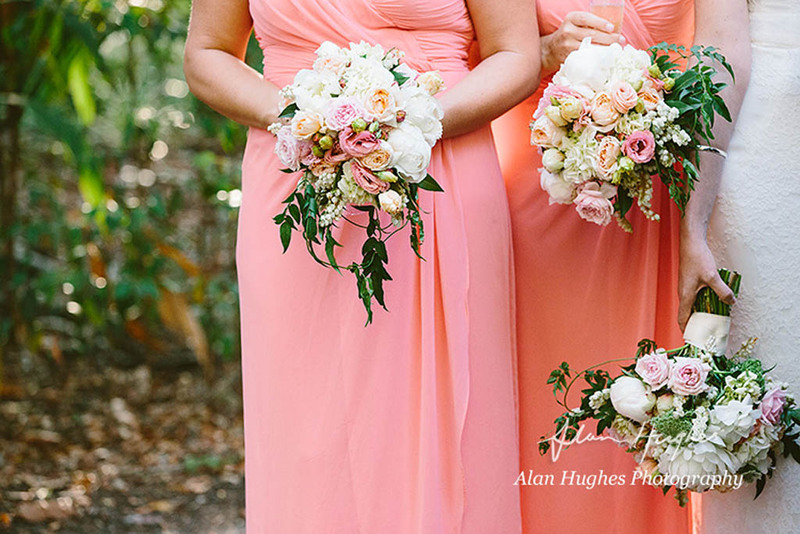 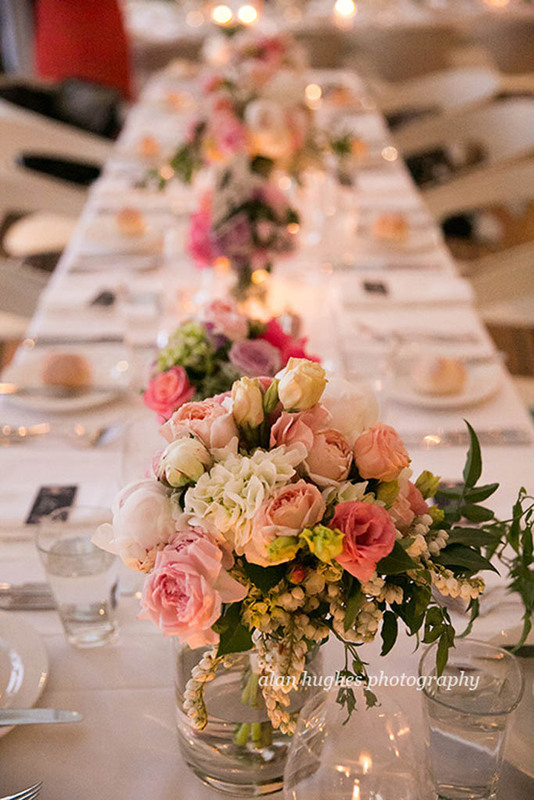 Peonies, David Austin roses, hydrangea, lisianthus and cottage roses were the highlight of the floral designs and a pretty colour palette of peach, pink, blush, lavender and ivory were chosen to showcase the styling on this beautiful wedding day! 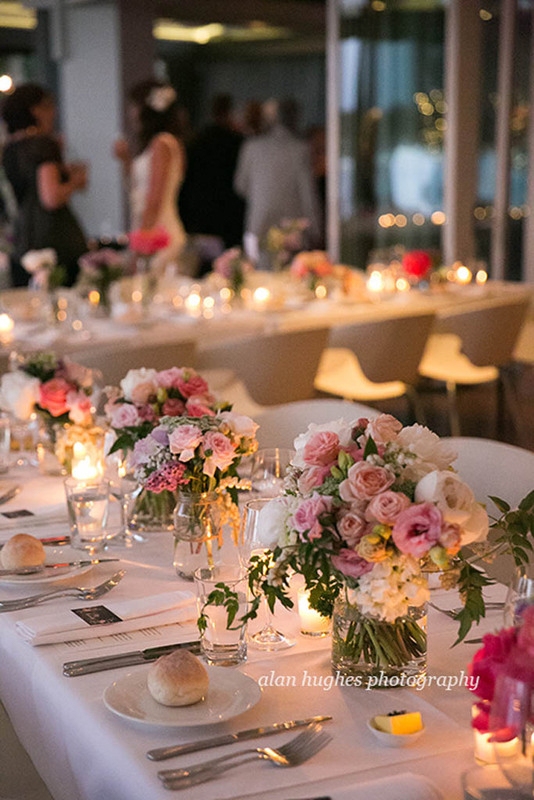 The canopy design featured a pretty floral garland, and the reception at Ricky’s Restaurant saw an slight introduction of coral in combination with the feature flowers, and clear glass contemporary vases were combined with French Mason jars to accent the beautiful floral concept through the restaurant. 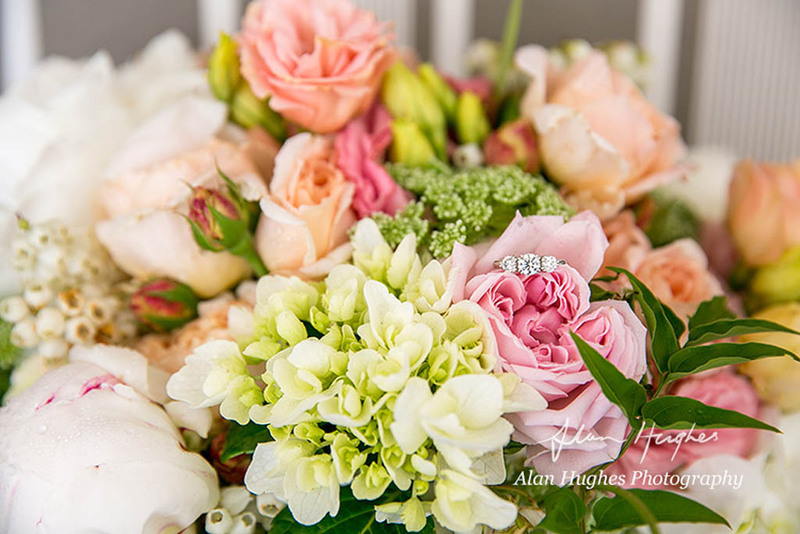 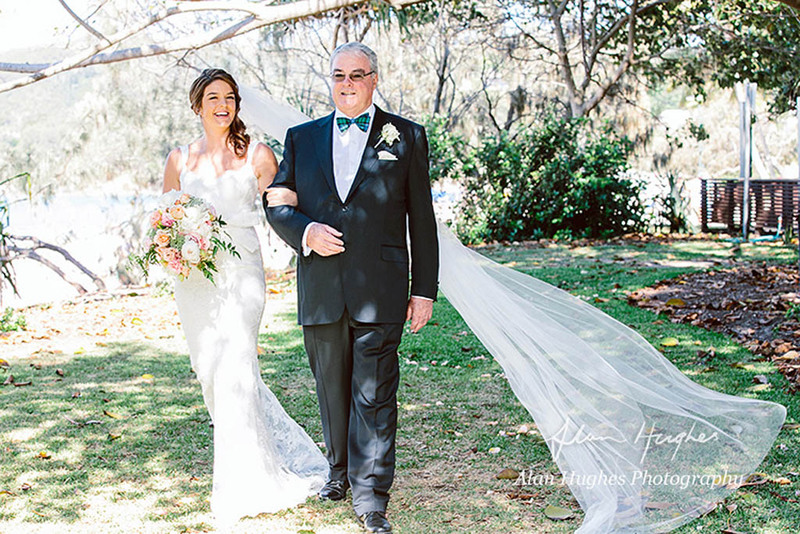 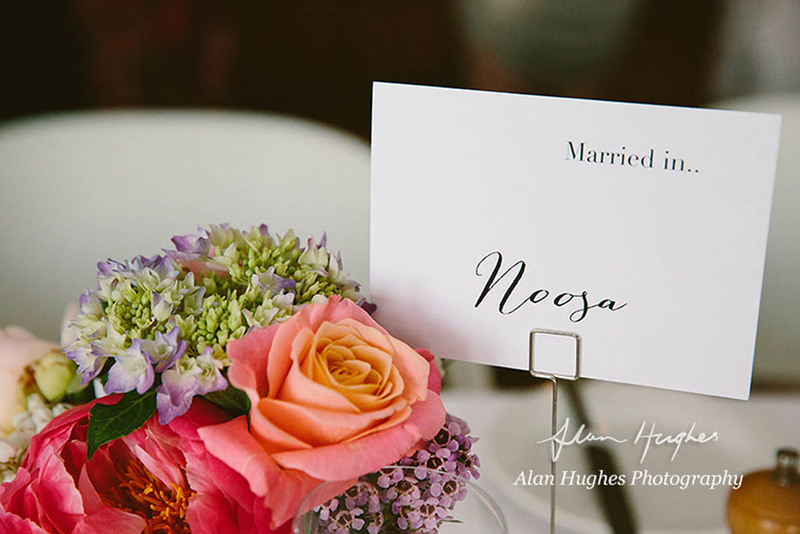 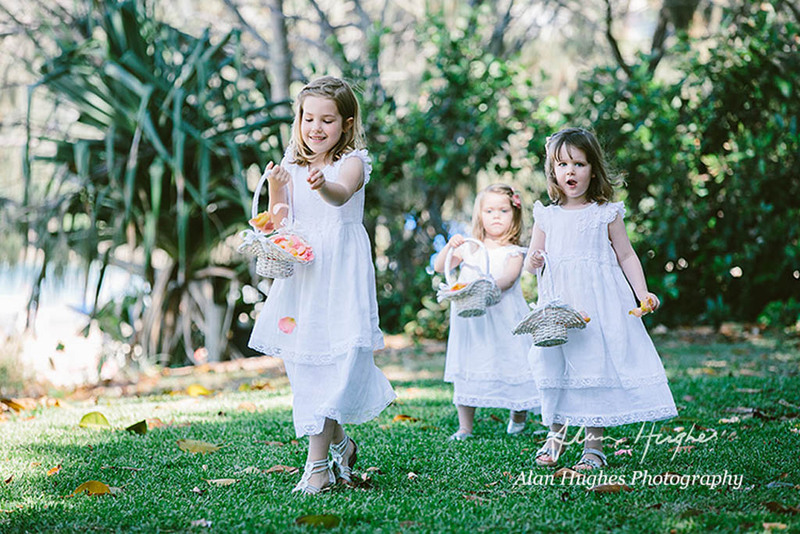 These beautiful images were captured by Alan Hughes Photography.